I will freely admit, as much as I have personally tried to stomp out typos and formatting errors, and as much as my paid editors have diligently done the same, in a work of this size a few still exist. It just can’t be helped given the limited resources of a self-publisher. Nevertheless, it is also the responsibility of anyone publishing a book to keep those errors to a minimum. That is why I hired two separate editors that independently went line-by-line through the text. Were they perfect? No. Were they damn good? Absolutely yes! At first, I thought I could design the cover myself. Amazon Kindle provides a tool to create a cover for the eBook version. Similarly, Createspace (Amazon’s book publishing arm) has an online cover creator for print versions. However, neither of those tools were sufficiently flexible to create what I wanted. I also tried Canva, an online tool that makes it very easy create cover designs. However, my artistic talent is so limited that even with the sophistication of Canva’s tools, all of my design attempts left me cold with frustration. And, even worse, it turns out that creating covers for books is a very complex endeavor. My next thought was to use a website, such as Fiverrr, that permits you to contract with graphic designers. The contracts can be for as little as $5.00. But, after reviewing the designs and reading reviews, I began to suspect that you get what you pay for and that there might still be much left for me to figure out and do. At that point, I stopped trying to save money on what is probably one of the most important elements of selling your book, the cover design. After searching the internet and reviewing multiple book cover design companies, I settled on JD&J Book Cover Design. After asking me to provide details about my book, including page count, vision, etc. – JD&J spent time considering my needs and provided me with a different royalty free image for each of their four different proposed designs for the cover. The cover I chose, after tweaking, had an image of a location relevant to the book and happened to be in close proximity of where my picture was taken at dawn from the top of Mount Bental on the Golan Heights, overlooking the Syrian border (that author photo is on the back cover of the book). I’m not saying that JD&J’s research was so precise that they knew exactly where I had previously been, but the coincidence was startling. In addition, revisions were not a problem, and they were gracious about making a change for free after I locked in the design. I can say with certainty that all future books I write will be graced with a JD&J designed cover. This was a tough one. There are plenty of companies that will willingly produce maps for you, but at an exorbitant cost. There are also plenty of free solutions, but they come with licensing problems. Some will permit unlimited usage on-line, but require extra payments for eBook and/or print versions. The different licensing requirements are, in two words, mind boggling. I hope to write more about this in the future, but for now there seems to be little substitute that does not require owning and understanding how to use Adobe Illustrator (a truly difficult task). The present cost for Adobe Illustrator is $19.99 per month if you commit to a full year ($239.88). In addition, you will need at least one book or course to figure out how to use it. If you have any thought of selling your print version book, you must have an ISBN number. ISBN stands for International Standard Book Number. To obtain one yourself, you must go through Bowker. Their charge is ridiculously high, presently $125.00 for one or $250.00 for ten ISBN numbers, but there are no alternatives other than going through whichever publsiher is printing your book. However, doing that usually gives rise to other issues beyond the scope of this article. Since I decided to break down my book into two volumes and because I intend to write other books, I really had no alternative. I purchased the set of ten ISBN numbers. I fully admit that for me, purchasing books is an addiction. And, I am of the belief (even though I know I am wrong) that I can learn anything by reading a book. Thus, rather than embarrass myself by telling you how much I spent I will just provide an estimate for what I think a first time author should spend and an estimate for what it cost. Then I will follow by providing a few suggestions. In addition, there are a myriad of other books that are very helpful, many of which that are in eBook format only (although I did not find an eBook format helpful when I had to keep referring back to them for guidance). Anytime you write a book you will feel compelled to give free books to children, parents, friends and yourself. In addition, you may want to send free copies to contests, reviewers and the like. Therefore, you must budget for that. In my case, I plan on giving away up to 20 books at a cost of $9.45 per book (print plus shipping). In addition, I arbitrarily added another $500.00 marketing costs for shipping free copies of my book, transportation to speaking events and free food and the like. The sweet spot for Kindle is between $2.99 and $9.99. As long as your selling price is in that range, the author receives approximately 70% of the sale price of the book. I say anything, because in addition to the 30% fee Amazon gets, Amazon also reduces the payment by the amount of data downloaded. In my case that is .19 cents but it would be much more if I had a lot of images in the book. Alternatively, an author can charge more than $9.99 or less than $2.99. But then the author will only receive 35% of the sales price (it is my understanding that there is no download data charge at the 35% rate). Thus, there are very few instances that it makes sense to charge outside of the sweet spot. 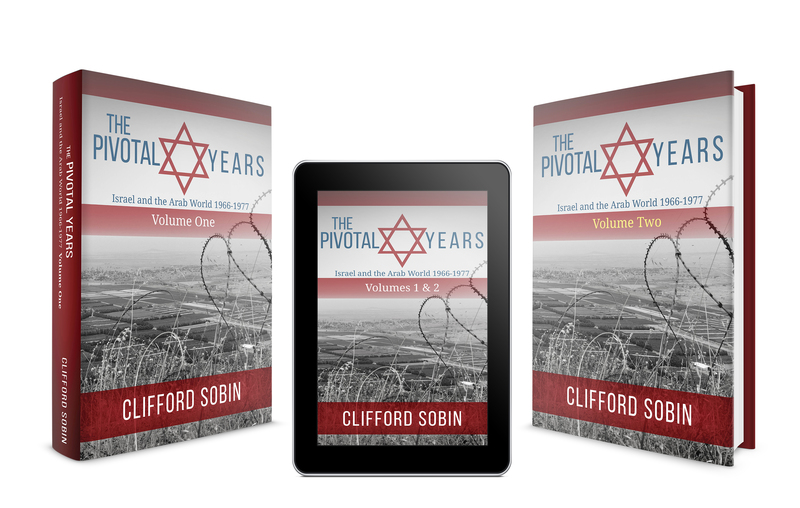 Unfortunately, since The Pivotal Years is almost 1,400 pages long, I had no choice but to divide it into two volumes. As such, in this blog article I will discuss the costs of Volume One. Also, I will only address the cost of printing the book on CreateSpace, Amazon’s print publisher. Other publishers have different cost models, but for me Createspace made the most sense. The list price of my book is $29.99. However, for a limited time I have reduced the price to $19.99 in hopes of increasing demand and as a result increasing my page ranking and getting good reviews. As a result, I receive $2.94 for every book sold through Amazon (this is after their fixed charges, percentage charge, and charge of 1.2 cents per page for printing). If I increase the price to $29.99, I will receive $8.96 for every book sold. However, I have to be concerned whether the increased price will reduce demand. A second way for me to sell books is to order them myself to sell personally. Amazon charges me $9.03 plus shipping (about .43 a book when purchased in lots of 100). If I then sell them myself at $19.99 I will earn $10.54 per book. The third way to sell books is to convince bookstores to sell them. Many bookstores will insist on receiving 55% of the sale price. If the book sells with them for $19.99, that would mean $10.50 for the book store, $9.43 for the cost of the book (same as if I sell them myself), and a profit to me of .06 cents. Thus, in bookstores, I will need to insist that they discount the book no more than 20% from the $29.99 list price. That would mean the book would sell for $25.00, the books store would receive 55% of that ($13.75), the cost to me of the book would remain $9.43, and my profit would increase to $1.82. As you can see, the profit picture for an author publishing a large book is rather daunting. In my next blog on this subject I will present my estimates for a book of 400 pages. I suspect in that scenario, if you have written the right book, it will is much easier to make a profit. That is because the publishing costs will be less, the editing costs will be less, and I already have the ISBN numbers and the reference materials. Obviously, as the percentages change and pricing changes the formula will need to be tweaked. But this analysis demonstrates the need to focus on all types of marketing with a careful eye on profit margins and the value of diversifying your effort because increases in one medium can quickly make up for deficiencies in others. It also provides a basis for tracking your success. And, it is important to note, that the least profitable books purchased are those in stores. However, it is my belief that having your book for sale in stores drives credibility and may drive readers to download the book on kindle or to attend personal appearances where the profit margin is much higher. I will report back results. Meanwhile, I hope you will take the time to comment for the benefit of myself, the self-publishing community, and all those who buy books.